Greg ended his amateur career in the summer of 2001 with a National Championship title. But unlike predecessors who had captured the same title, names like Kelly Slater and Andy Irons, Greg chose to forego a life of competitive performance surfing and instead blaze his own career path. Following an “endless winter” Greg set off, tracking the worlds largest storms around the globe in pursuit of finding and riding the world’s biggest waves. Fourteen years later….he is referred to by many as “the best big wave surfer on the planet,” having won every major big wave surfing competition and multiple XXL Global Big Wave awards, including “Performer of the Year,” “Biggest Paddle Wave,” “Biggest Tow-In Wave,” and the most coveted “Ride of the Year”. His big wave exploits have been featured in films, magazines and news publications around the globe. 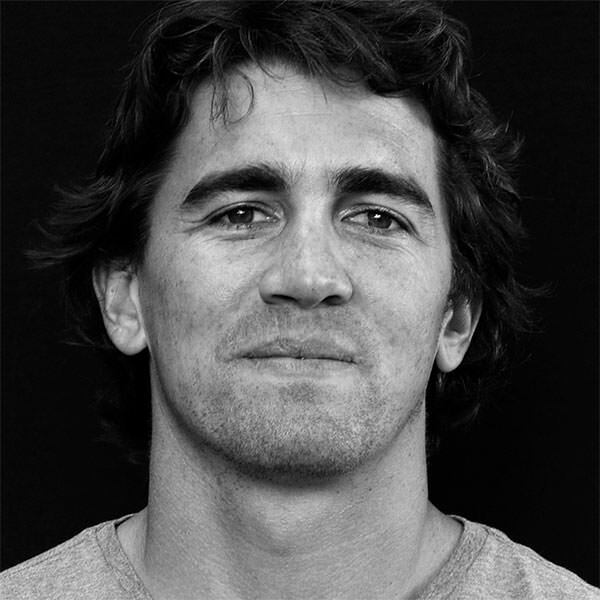 Within his community of surfing peers, Greg is respected as the most prepared big wave surfer, dedicating immense amounts of time to physical and mental training, as well as ensuring his equipment and safety preparations are of the highest standard. In December 2012, this dedication and attention to detail saved his life. While attempting to paddle into the largest waves ever attempted at the infamous “Cortes Bank,” an underwater seamount 100 miles off the coast of Southern California, he sustained a wipeout that held him underwater for four consecutive waves, rendering him unconscious. Greg’s body was located and recovered by his water safety team, and following resuscitation and stabilization he was life-flighted by Coast Guard helicopter back to the mainland. Only days after his near fatal accident, Greg returned to the ocean, competing in giant surf at the world renowned Maverick’s surf contest in Northern California, eventually going to be crowned the Big Wave World Champion for 2013. Six months later he rode a massive barrel in Puerto Escondido, Mexico that would later be selected as the “Ride of the Year” at the 2013 XXL Global Big Wave Awards.